We are eagerly awaiting the Spring weather in our home; we have had more than enough snow and we can't wait for some sunshine and time outdoors! 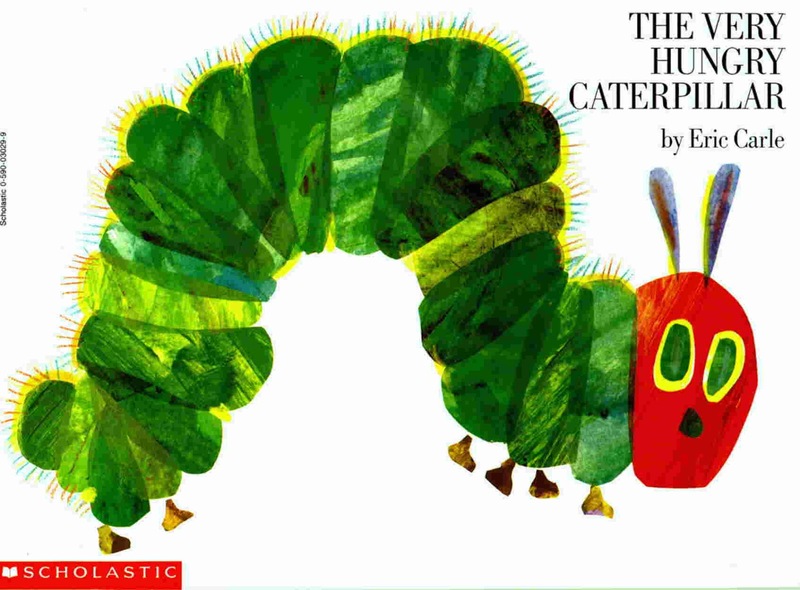 We read one of our favorite children's books this afternoon [with the perfect theme for Spring] "The Very Hungry Caterpillar" by Eric Carle. 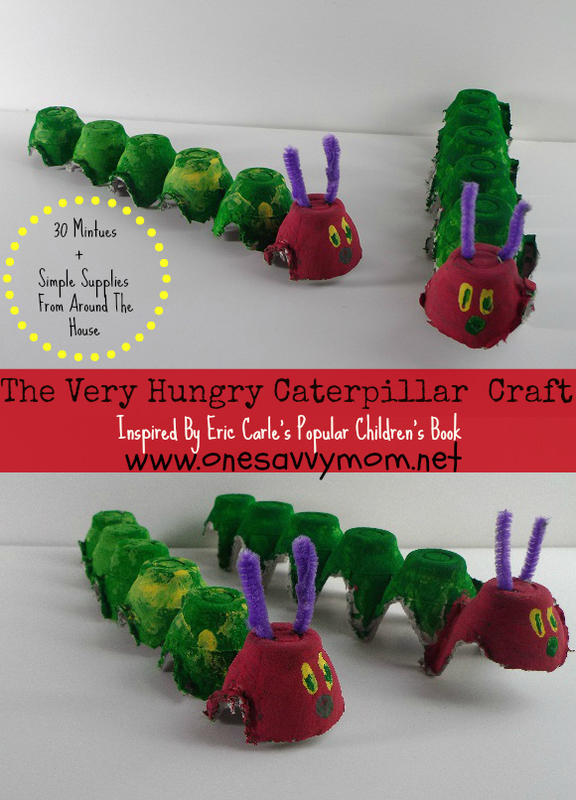 Then we got crafty and made some "Very Hungry Caterpillar's" of our own! This craft super fun and simple to make [takes about 30 minutes] and requires simple supplies that you most likely already have around the house. Paper Egg Carton [cut lengthwise in half with safety scissors ] - Use for "The Very Hungry Caterpillar's" body. Washable paint [in green, yellow and red colors] - Paint 5 of the egg holders green [for "The Very Hungry Caterpillar's body] and 1 egg holder red [see image above]. Allow adequate time for drying. Paint two yellow eyes with a green center and a green circle for a mouth. Purple Pipe Cleaner [cut to 2 inches in length] - After paint has dried cut two slits in the top of your Caterpillar's head and thread each end of a 2 inch purple pipe cleaner through from the bottom to create your caterpillar's antenna. 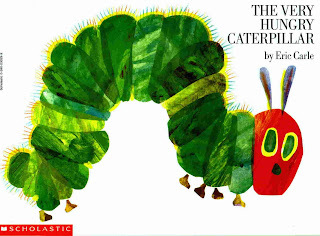 Tomorrow, March 20, 2013 is The Very Hungry Caterpillar day!